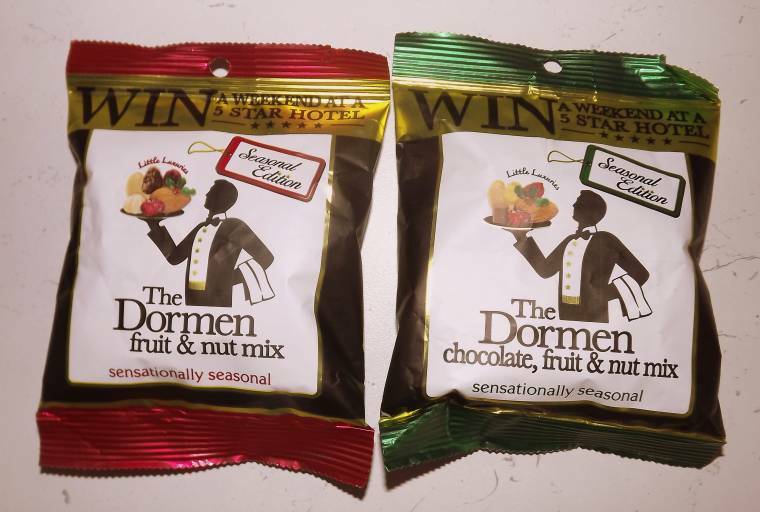 The Dormen Food Company supplier of luxury snacks has created two special festive fruit and nut blends for you to try this Christmas. Offers sumptuous cinnamon flavoured cranberries,Chilean and crimson raisins,baked cashews,almonds and toasted hazelnuts. Brings together orange flavoured cranberries,golden raisins,whole sweet and sour cherries,baked cashew and almonds and a rich and creamy milk chocolate. 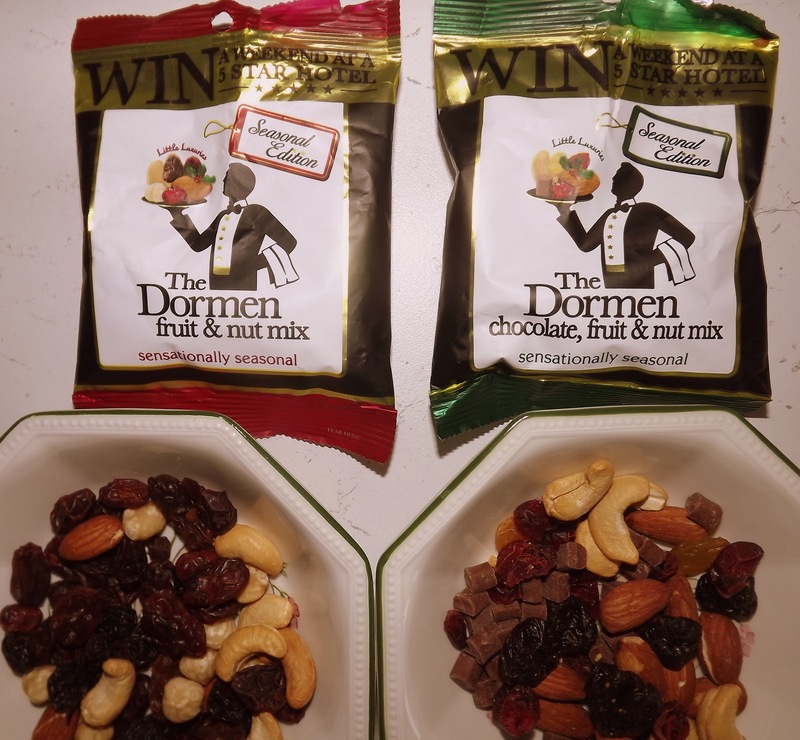 We got sent 2 *50g bags to try and they taste great and of high quality.My favourite ones being the Chocolate fruit and nuts. These nuts are RRP at £1-79 for a 100g bag. For more information visit The Dormen Food Company. "Easy Fisherman’s Pie with Primula Light Cheese Spread"